You’ve certainly heard at least one of their tunes before at some festival or maybe in an Heineken ad. Their name? The Hot Sprockets, five blood brothers from Dublin city giving another youth to rock ‘n’ roll. Last Saturday they were giving a gig in a secret location. We were there for the craic. After their two critically acclaimed previous albums Honeyskippin and Brother Nature and having played at some of the most famous festivals such as Glastonbury or Latitude (UK), the Hot Sprockets are back with a new soul/rock/psyche album bringing us back their contagious feeling to be wild and free. Last Thursday. 12pm. The few lucky holders of the Hot Sprockets Button Factory album launch gig taking place on the 14th of April received a lil gift in their mailbox. The band was organising a free and secret show in Dublin for only 80 people, to kick off their tour. The only thing you had to do was answering back to the email. And that’s what we did. We then were informed that the secret location was The Underground music venue on Dame Street. Saturday night, 10pm. The small and intimate Underground venue was quickly filled with people all buzzing and excited to see the five Dublin fellas. 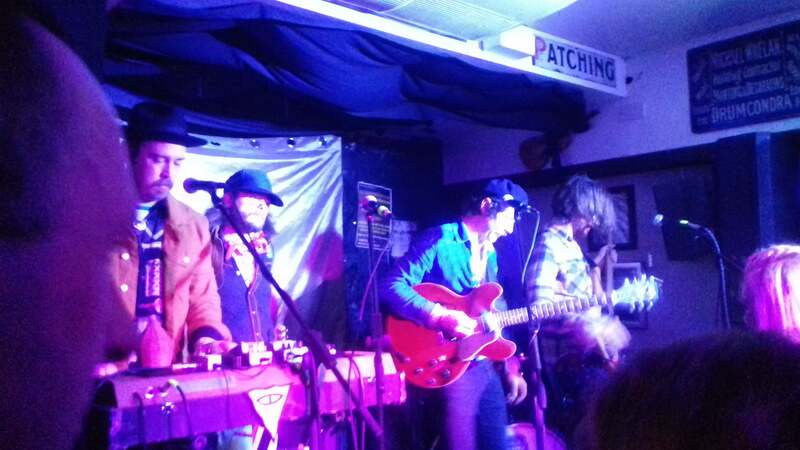 The Hot Sprockets came on the very tiny stage with their usual psyche-rock style. Class. They started playing their famous tunes one by one. Homeslice, Soul Brother, Cold Cold Sweat,… People were mad dancing, singing out loud every single song. It’s amazing how the quality of their music is so good and their melodies and lyrics so catchy. The band can easily mix proper psyche/rock songs and change for a kind of soulful indie one in the blink of an eye, always delightful. The atmosphere was electric and so rock ‘n’ roll, this was pure music. The guys were performing non stop on stage until midnight. A foretaste of the Button Factory album launch and a night to remember. Catch the Hot Sprockets playing next at the Button Factory Dublin on April 14th, kicking off their 2018 Dream Mover tour. Their third album Dream Mover will be out April 6th. Pictures and video by Lilia Lalaoui.